Nine years ago tonight, the world lost an incredible young man – a beloved son, fiance, brother, nephew, uncle, grandson, dear friend and great Warrior. 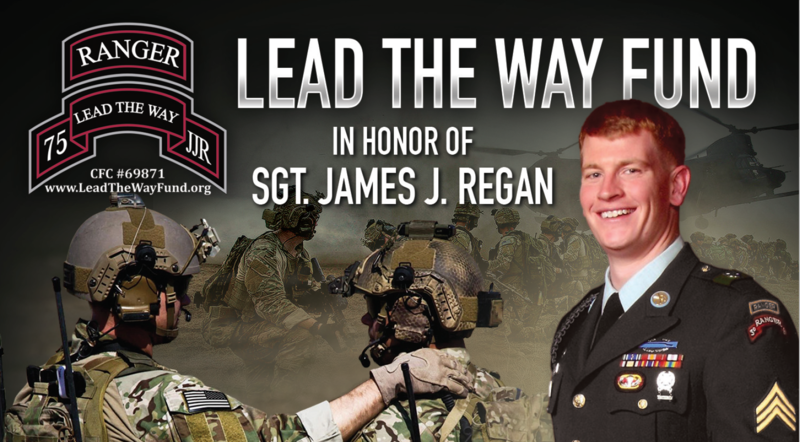 We will never forget the sacrifice, SGT James J. Regan and the Regan family made protecting our country, our religious freedoms and our way of life. Jimmy’s character, integrity and the way he lived his life continues to be an inspiration to so many people. Through Army Ranger Lead The Way Fund, we strive every day to keep his memory and legacy alive by helping the men and families of the elite 75th Ranger Regiment – the men he called his Brothers. Rest In Peace Jimmy. You will ALWAYS lead the way for us!